This consistent and systematic review of recent advances in optical antenna theory and practice brings together leading experts in the fields of electrical engineering, nano-optics and nano-photonics, physical chemistry and nanofabrication. Fundamental concepts and functionalities relevant to optical antennas are explained, together with key principles for optical antenna modelling, design and characterisation. Recognising the tremendous potential of this technology, practical applications are also outlined. 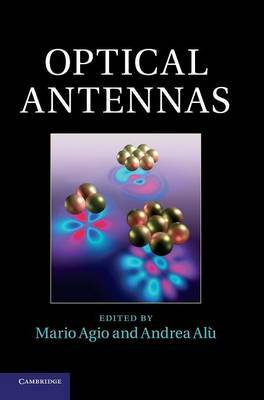 Presenting a clear translation of the concepts of radio antenna design, near-field optics and field-enhanced spectroscopy into optical antennas, this interdisciplinary book is an indispensable resource for researchers and graduate students in engineering, optics and photonics, physics and chemistry.